Photo collage at a bus stop in Samara City, Russia, June 2017. The photo collage was part of the exhibition Street as a Museum - Museum as a Street 2017 that the National Center for Contemporary Arts (NCCA) organizes every year in Samara City. 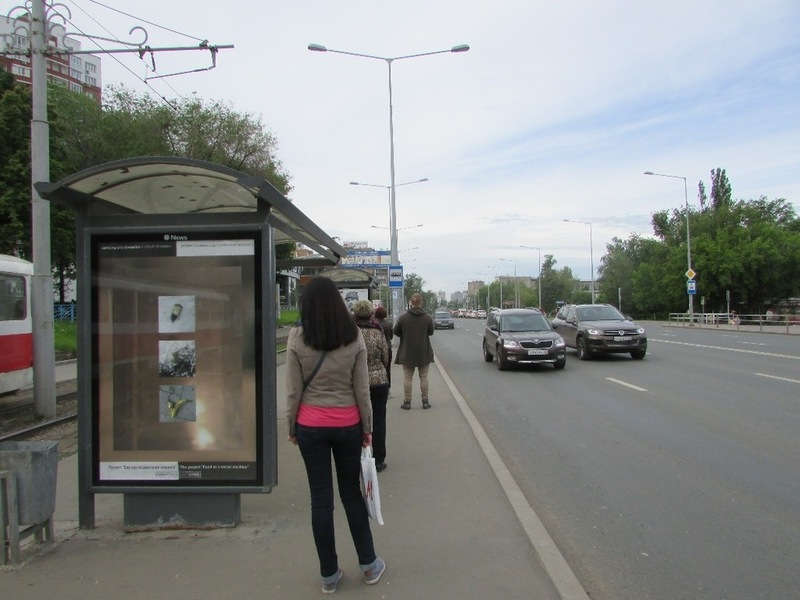 The platform of the annual exhibition is a number of bus stops around the city, that normally are used for advertising. 2017 there were 60 participating artists that contributed with one image each on the theme Food as a Social Machine. Food is often used as a symbol for money and status and there are trends in what to eat. For a successful life you need the perfectly healthy diet. Don’t eat junk food or candy; candy is poop. You should eat fruit - fruit is candy! 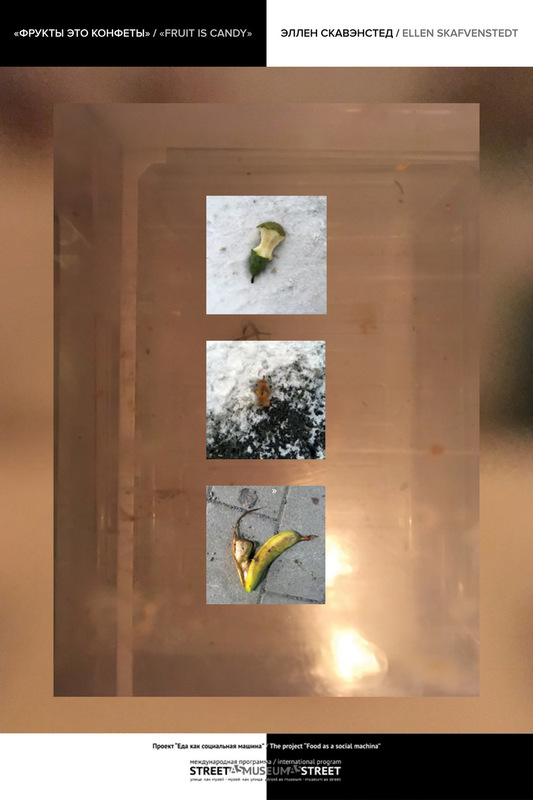 My photo collage takes place after a happy, healthy meal. You see the leftovers of three different fruits laying on the ground, waiting to rot. The remains of a slimy, mashed banana is working its way out of the peel, while a half eaten pear looks like it just fell down in the snow. Three dirty glass shelves in an empty refrigerator lays in the background picture, a dead end for a hungry stomach.